How do I get started with iBulky.com? Firstly, you need to create an account with www.ibulky.com. You can read more on Getting Started page. Visit your account login page. Click on "Forget your password?". 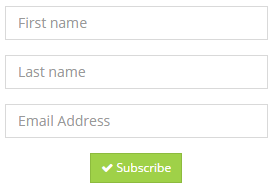 You will get a mail from iBulky.com with the subject "[iBulky.com] Password Reset". Click on the link in the email to start the reset process. Fill the form on the page appropraitely to complete the password reset. iBulky.com wallet helps you to keep money in Naira currency for purchase of iBulky.com services. With iBuly.com wallet, you can pay for any iBulky.com services instantly without the hassle of making payment to bank evertime. How do I refill my iBulky.com wallet? You can pay directly to any of our bank account listed on the pricing page. Please note: always use your "username/email address/mobile number" as the depositor's name. When you log into your account, click on "Refill Wallet" on your dashboard. On the payment page, select your payment method and fill in all required information. Please note that you must have made deposit to the account provided on the pricing page before filling the details for "Bank Deposit","Internet/Mobile Transfer" & "ATM Deposit". Your account wallet will loaded immediately your fund is verified and confirmed, within a max of 24 hours. You can also pay online using your ATM cards. If paying online with your credit/debit card, please select your desired payment gateway and follow the process for instant wallet load, if your transaction is successful. Please note that processing fee may apply. You can refill your wallet at any time of the day with these vailable payment methods. Click here to know more. What is the minimum amount I can load in my iBulky.com wallet? The minimum amount you can load is 1,000 Naira. iBulky.com units are currently used to value the price of each SMS/HLR/MMS messages sent on iBulky.com. The equivalent unit of the message sent is determined by the content of the message reletively to the "Network Rates". A SMS message is usually equivalent to 1 unit for all Nigeria GSM networks. To know the current rate for each country's network, please visit the "Mobile Network Rates" page under "Tools -> Network Rates" menu. How do I buy iBulky.com units? You can buy iBulky.com units from the money in your wallet. To do this, log into your account, click on "Buy Units" on your dashboard. A popup window will show you the list ofavailable packages. Select a unit package and complete your order process. No. Your iBulky.com units last forever, meaning there is no expiration date. Can I transfer iBulky.com units to another user? Yes you can do that on our platform. However, there are limitations and rules; one of which is the maximum units that can be sent within a period of time. This is a precaution we've put in place to avoid iBulky.com unit theft. You can initiate a transfer by clicking on "Transfer Units", fill in all required fields and submit to complete the process. What are the acceptable mobile numbers formats? You may enter your mobile numbers in any of these formats 08037654321 or 2348037654321. For international message, please always add country codes. What is the maximum length of SMS that can be sent? There is no limitation to your desired length of message; infact your can send a 3000+ lengthy SMS. Note that 160 characters SMS is valued as 1 page message. If your SMS length is above 160 characters, it becomes 2 pages. With "Flash SMS" you can send a sensitive information to a mobile number and it appears on the sreen for immdiate view only. This kind of messages are not store on the receiver's phone.